Are you there? Or does something need to change? Do you ever feel like this about your Career? Confused – You wonder whether you’re on track with your career? Should you stay in the same role/industry/company – or make a change before it feels too late? Uncertainty – You want to change industries but don’t know whether you have the experience or skills you need to do that. Scared – You know inside that you need to do something different but it’s a scary thought. You worry about the impact on your income, lifestyle and family. Bored – Monday mornings are a drag. You’ve lost your passion for your work and you want to get back that excitement you once had. If you answered ‘yes’ to any of these questions, then something needs to change and career coaching with Carole Lewis can help you. Carole is a Professional Certified Coach and has a decade worth of experience in helping seasoned professionals find greater fulfillment and success in their work. 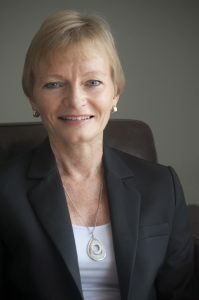 She has coached hundreds of people from over 30 different nationalities based around the globe. Her clients come from a wide variety of industries ranging from finance and IT to health and education. She lives and works in Hong Kong, but thanks to today’s technology, career coaching can take place virtually or in person. Get clear about who you are and what you bring to the table. She will expertly guide you through realistically looking at your strengths, weaknesses and potential career derailers. In order to make a change, you need to know what behaviors you have that help or hinder your progress. Get clear on what you enjoy and gives you energy vs what leaves you feeling drained and demotivated. Jobs can look good on paper, but if you’re not well suited, they cost you wasted time and energy. Objectively analyze your options. There is always more than one path to follow, and family and friends are well meaning but generally not objective. You need to make the right decision for you. Create clear plans for navigating change. Whether you are making a complete career change or adjusting your current situation, having a plan in place makes it happen. Making a change to your current career situation has the potential to feel confusing and overwhelming, yet with the right support and process it can become a life- changing step for your future success. Step 1 – Begin with a proven career coaching assessment that has helped thousands of executives make smart career decisions. This assessment provides you with a clear picture of who you are, what drives your behavior, and in what situations and roles you are most likely to succeed. Step 2 – Create inspiring long-term and immediate career goals with specific timelines. Get clear on your overall sense of purpose as well as specific career goals to help you achieve your overall purpose. Step 3 – Create step-by-step strategic plans for achieving your goals. Gain clarity about what steps you need to take and when in order to get to what you want. Step 4 – Work through the strategic plans towards your goals. Having goals and strategic plans gives you a solid foundation for change. Yet it takes more than just having them in place to achieve what you want. Get the support you need for dealing with the challenges of life, work and change as you work through your plans. 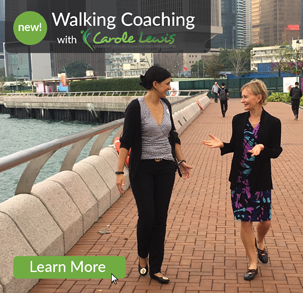 Contact Carole on carole@carolelewis.hk or +852-9649-5642 to book a no- commitment call to discuss your needs and decide whether career coaching is for you. “Carole helped me to work around or through the road-blocks that were hindering progression in my career. I have always been an excellent performer in some aspects of my job, yet when I was required to step outside of my comfort zone I didn’t perform well. I couldn’t seem to find an approach to change that was consistent with my personality, i.e., I did not want to try to become someone I’m not. I recognized the need for change, but I couldn’t do it on my own. I needed to talk to someone! If I hadn’t worked with a coach, there would have been a lot of false starts and even more frustration.